What is oral cancer? Am I at risk for it? 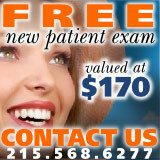 At Philadelphia Dentistry we do oral cancer screenings with all our patients to make sure you are healthy. Oral cancer can be divided into two categories. One, occurring in your lips, teeth, gums, inside of your lips and cheeks, the front part of your tongue and the bottom and roof of your mouth. Two, it can occur in the middle region of your throat which includes your tonsils and the base of your tongue. 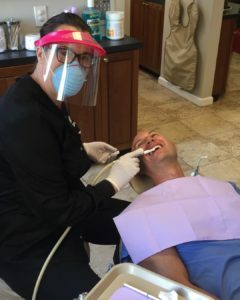 This is why it is so important to maintain your routine check-ups with Philly Dentistry because we will be able to detect any early signs of oral cancer which will result in better treatment outcomes for you. Symptoms of oral cancer. It’s important to know if any of these symptoms are occurring and do not disappear after two weeks to give Philly Dentistry a call. If you notice any of these symptoms. Do not wait to call us it’s important to catch any of these signs right away so the problem doesn’t worsen. 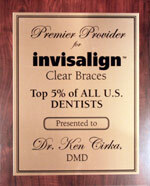 You’ll be in the best hands possible for your oral health, call today 215-568-6222.